15100 Bagpipe Way #202, Fort Myers, FL.| MLS# 219019388 | Southwest Florida Residential Real Estate for Sale. Calling all golfers! Fully furnished nicely decorated 2 bedroom, 2 bath condo with a beautiful golf course view. Second floor unit with privated stairway entrance. Complete with carport and outdoor storage unit and room for your personal golf cart. 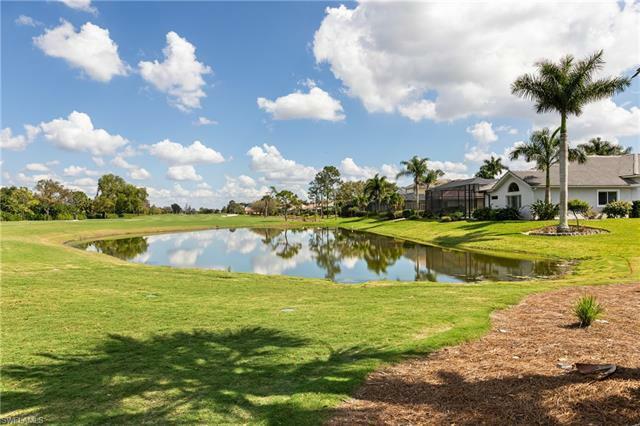 Located in Fiddlesticks Country Club offering 2 championship golf courses. Amenities include; clubhouse with casual and formal dining. 8 har tru clay tennis courts, new 7, 000 square foot fitness facilty, new resort style zero-entry pool with cabana bar and poolside dining. No CDD fee. There is a $50, 000 mandatory equity membership fee due at closing. Call today for your private showing!